Our 50 years of experience in residential landscape design allows us to make the most of the unique space you have available. We don’t come to the table with a set of plans we’ve used before. Instead of having our own “style”, we help you develop yours, drawing on our experience to give you a space that’s attractive, comfortable, and enjoyable for your family and the friends you entertain. An outdoor space you’ll continue to enjoy in the years and decades ahead. Our know-how takes every concern into account and steers you away from choices that won’t stand the test of time—like planting a young tree close to your house that may become a problem when it grows to maturity. We also know what plants thrive in different locations. We never stop looking for cutting-edge ideas, innovative approaches, and new materials. And we’re always interested in new research, helping you choose features that are not only attractive but long lasting and easy to maintain. 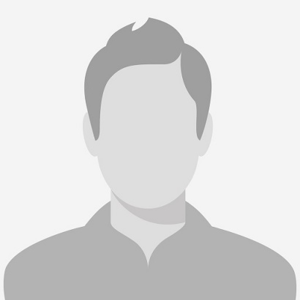 You will always have experienced, trusted workers on site. Six of our staff have been with us for at least 15 years. Others for at least five years. They know what they’re doing, and they’ve proven they can consistently meet our quality standards. We believe our warranties are unique among local landscape businesses: five years for hardscape, two years for plants. Licensed in construction, we never subcontract any part of our work, giving us better control over quality and costs—and allowing us to respond quickly if you have questions. Besides controlling costs by avoiding the use of subcontractors, we give you options in the choice of materials, so that you can compare prices. You will enjoy quality work and great customer service along with a friendly crew, willing to listen to your concerns and needs. Borgert Pavers are universally acknowledged to be superior, and can help you create immaculate, carefree landscapes, walkways, and roadways, that will last for generations… beautifully. Hedberg Landscape Supply and Hedberg Masonry & Stucco Supply, is a wholesale/retail supplier of Natural Stone, Manufactured Stone, Brick, Stucco, Stone Etching & Fabricating, Low Voltage Lighting, Water Garden Supplies and Landscape Supplies. Allan Block, which is a stackable and versatile retaining wall system, Block is a leader in new product innovations with color and style options. 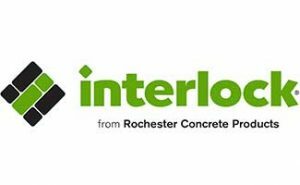 InterLock manufactures a wide selection of concrete pavers and retaining walls, in addition to suppling a variety of concrete slabs and site furnishings. From standard concrete blocks to decorative masonry units, landscape retaining walls and paving stones, quickly earning a reputation for quality.